On my patio, I have a couple dozen planters full of herbs and summer produce. Of all the summer produce, peppers are my favorite item to grow in pots. They are easy, need very little care, and can produce a bounty throughout the summer. I have a long list of favorites to grow that include hot and sweet, but one of my favorites is the shishito pepper. They are small, slightly sweet, and a really great pepper to fry whole. I took a different approach with these black bean quesadillas and sliced then fried the shishito with garlic. It’s the perfect mild filling to compliment the black beans. 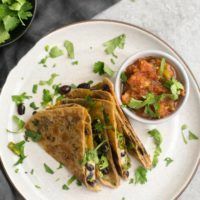 A perfect way to use those small shishito peppers, this black bean quesadilla is quick and easy to throw together for a simple summer dinner. Prepare the peppers by cutting into 1/4″ thick slices and removing the stem. Heat a large pan or griddle over medium heat. Add olive oil followed by the peppers. Sauté until the pepper pieces are browning and beginning to blister, 5 or so minutes. Add the garlic to the pan and cook for 1 to 2 minutes, until fragrant and golden. 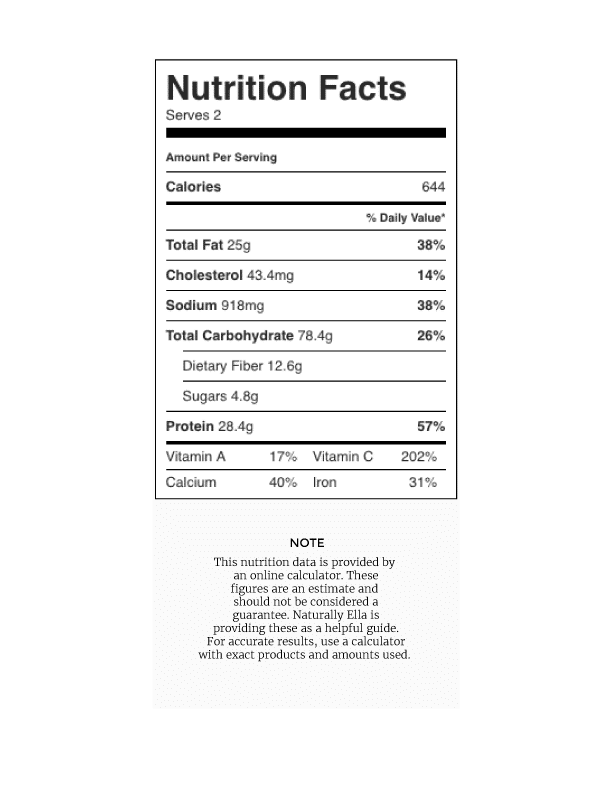 Measure in black beans then cilantro, salt, and lime juice. Stir and cook until the beans are warm, another 1 to 2 minutes. Transfer to a bow and set aside. Turn the skillet down to low heat. Working with one tortilla at a time, divide cheese in half and spread evenly over one side of the tortilla. Add half the bean mixture to the tortilla and let cook until cheese starts to melt and tortilla begins to brown. Fold in half, cooking the tortilla on each side until crisp and brown. Repeat with second tortilla. 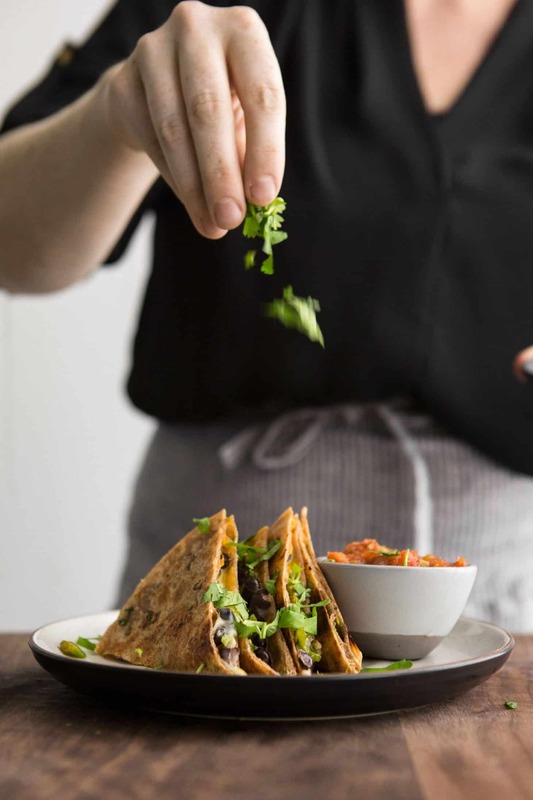 Tips & Tricks: These quesadillas also work with other pepper varieties- just check on the heat level. Some peppers look like shishitos but are padrón peppers (which can be a bit hotter). Peppers: Can’t find the shishito peppers? 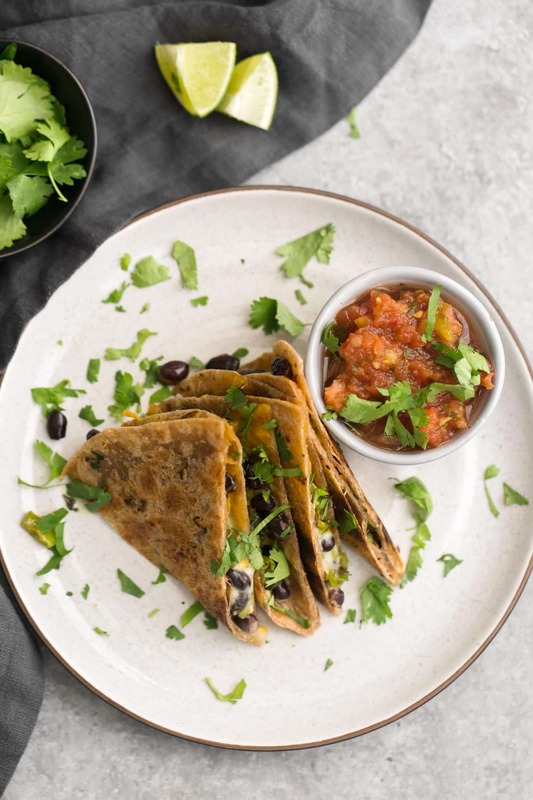 Use another sweet pepper (bell or Italian) or you can add heat to these black bean quesadillas by using the padrón pepper or jalapeños. A mix of sweet and hot peppers also works well! Cheese: Use your favorite or whatever you have on hand. I typically use a jack cheese but anything from goat to a smoked mozzarella would work. My goal is to usually compliment the flavors of the peppers and not overpower. Grain Bowl/Vegan: The black bean mixture is good by itself and makes an excellent topping for a grain bowl with a drizzle of hot sauce. A perfect way to still get the flavors without the cheese! I may be repeating myself, but black beans are a staple. As such, I recommend always keeping them on hand. We eat some form of Mexican food at least once a week and black beans a perfect complement. 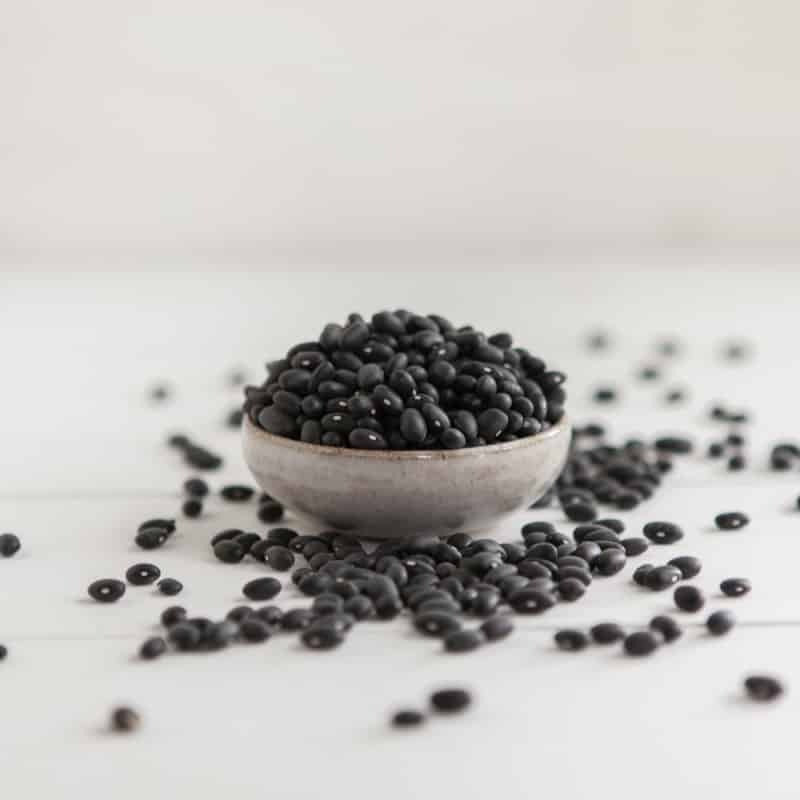 So, if you’re not sold on black beans, here are a few more recipes to reassure you they’re a good idea. 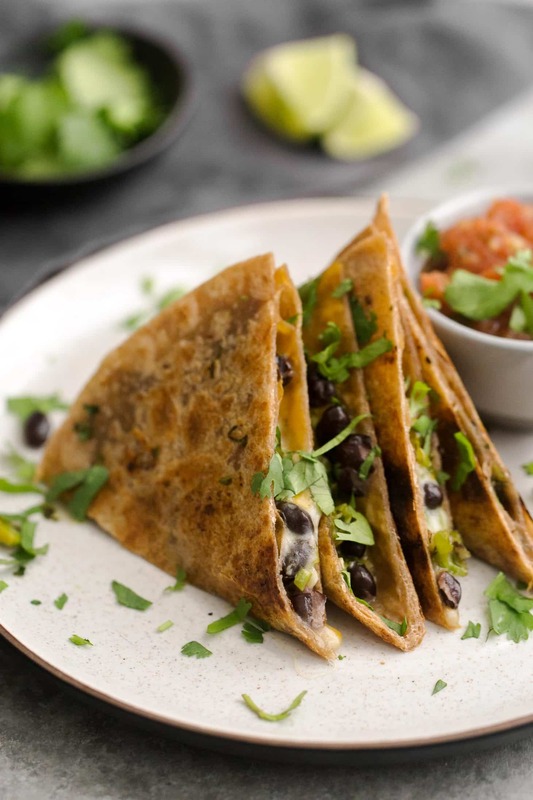 I’ve never tried quesadillas before, but yours look so good- I think I’m going to have to! Great recipe 🙂 love the blog! I never thought about growing peppers but that sounds really nice and convenient! The quesadillas look really good and I’m sure they’d translate well to the grain bowl that you mentioned. I love quesadillas and I love black beans. Thanks for the great recipes. I already know before I make this that it’s going to be a hit for my taste buds! Thanks for the detailed instructions, even up to the total cook time. You provide a ton of value to your audience, so please keep it going. My brother and boyfriend are HUGE carnivores and they did not even notice that there was no meat. This recipe was a SUCCESS !! Th is wasn’t the link I clicked on. I was trying to find the recipe for charred cauliflower with shishito peppers in picada sauce. Can you make a link for that recipe, please?